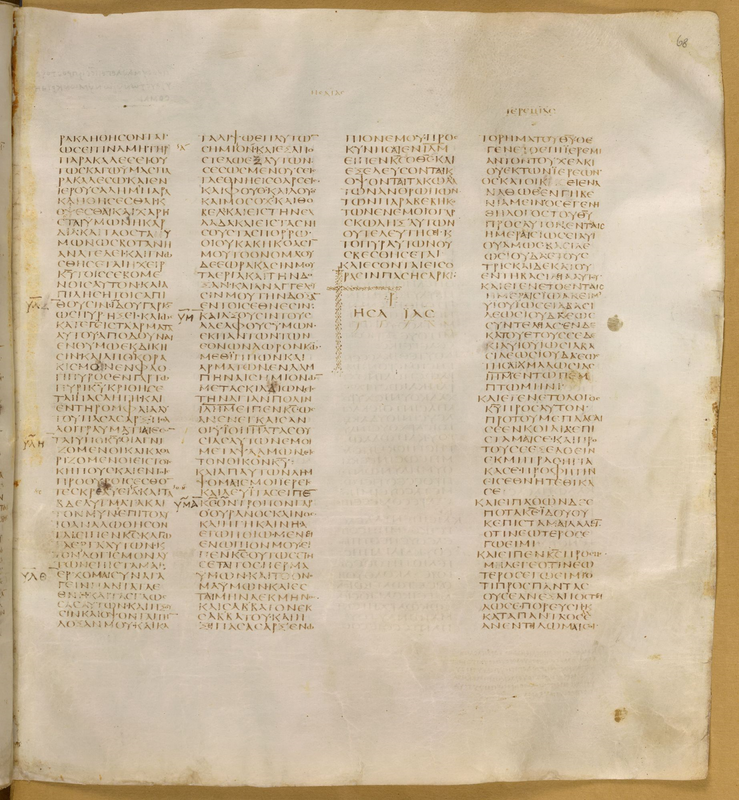 As noted in the British Library blog, the British Library has lent the NT of Codex Sinaiticus to the British Museum for a special display down the road (in its old home). This means that when you go to the British Library you can see some of the Greek Old Testament on display. This page from Isaiah 66 and Jeremiah 1. I was down there today and it was wonderful to behold. It is an interesting couple of passages which were both very familiar to Paul: Isaiah 66.18-21: sending saved ones to the nations, declaring God’s glory among the nations, the list of nations and Paul’s mission etc. (check Romans 15). And Jeremiah 1.5: ‘before you were born I consecrated you, I appointed you a prophet to the nations’ (check Galatians 1). So we may be lacking the New Testament, but in reading these passages one is looking forward to the New Testament. Almqvist and Wiksell, 2003. Paper. English. Almqvist and Wiksell, 2006. Paper. English. 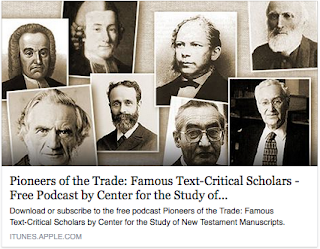 One new article by John Granger Cook and a number of new reviews have appeared in the current issue of TC: A Journal of Biblical Textual Criticism 20 (2015). Abstract: A Syriac MS (British Museum Add. 17214, fol. 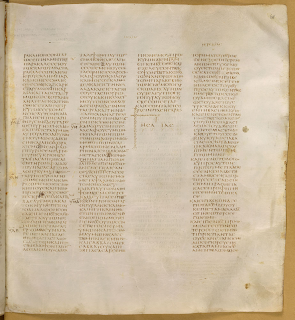 65a–65b) preserves an excerpt from Julian’s Contra Galilaeos and Cyril’s response (the Contra Iulianum), which indicates that both authors either did not know the longer ending of Mark (16:9–20) or regarded it as spurious. The evidence has apparently been overlooked in studies of the longer ending of Mark. If the argument is sound, then Julian should be added to the apparatus criticus of Mark as a witness to the short ending (16:8). Cyril should be reevaluated as a patristic father who probably knew MSS that omitted the longer ending, but, unlike Jerome and Eusebius, did not assert that fact about the MSS in the surviving text. Rescued by Water and Salt? There are a number of puzzles to resolve in 1 Peter 3.20 but I’ve come across a new one, at least with its transmission and reception. The Harklean Syriac of 1 Peter 3.20 tells of “eight souls rescued by (byad, ܒܝܕ) water.” Notably, the Syriac translates the debatable δι’ ὕδατος as unambiguously instrumental. But this is not what’s odd. What’s odd is the marginal reading. Marked after the word “water,” the margin has kad metmalhān ܟܕ ܡܬܡܠܚܢ which is something like “when they [the souls] were salted.” In his 1799 edition, Joseph White admits ignorance as to what was meant by this, suggesting that maybe it should be read as kad metmalāyēn ܟܕ ܡܬܡܠܝܝܢ (“when they were filled”) instead. It looks to me (and B. Aland) like the first reading is correct which leaves me to explain the presence of “when they were salted.” Typically, the marginal readings in the Harklean text provide an alternate reading for Thomas’s main text, but here this doesn’t appear to be the case since there isn’t anything which it would naturally replace, certainly not “by the water.” And there is nothing in the ECM that would show this to be a known reading in the rest of the textual tradition; it seems to be unique to the Harklean margin. Elsewhere Thomas does use his margin for short interpretive comments and that seems to be the best way to understand it here. But if so, how does “being salted” explain “being rescued by water”? The only parallel to “being salted” I can think of is Mark 9.49 where the Harklean has the longer reading: “every person will be salted with fire and every sacrifice will be salted with salt.” Like the water in 1 Peter 3.20, there is debate as to whether the salt in Mark 9 is a means of judgment or a means salvation (or perhaps both). I’m wondering whether there is any history of connecting the the imagery of the flood, the salting in Mark, and possibly baptism in the Syriac tradition that Thomas might be reflecting. Or maybe I am missing some simpler explanation. It is certainly curious. To develop and manage the Library’s collections of Ancient and Medieval Manuscripts, with a special responsibility for Classical, Biblical and Byzantine Manuscripts. To interpret the collections by using innovative and traditional ways of presenting and researching the collection through online resources, engagement with academic and general users, media work, events, contribution to online resources, exhibitions and the public programme, and updating the catalogue. To manage projects relating to Ancient and Medieval Manuscripts. To assist in the development of selection profiles and to monitor the delivery of acquisitions against selection. To make a personal contribution to the Library’s research and other strategies based on individual specialist knowledge of the collections and particular fields of study. The spelling of the relatively simple word for 'more' in Greek, is in actual fact quite complex. The neuter single of the word occurs in three different forms in the Nestle-Aland editions (and I expect in two different forms in the Byzantine texts): πλειον, πλεον, and πλειω (the latter only in Mt 26:53 in the Nestle editions). It is no surprise then that there is some variation between these forms. Πλειον is the most common form, which has retained its diphthong before an /o/ sound. According to BDF §30.2, the πλεον form without the iota is the more literary one. It is remarkable how in Lk 3:13 the Greek tradition has almost universally πλεον. Some minor orthographic details manage to survive almost unharmed. The πλειω in Mt 26:53 is problematic though. Πλειω is an acceptable way to write the neuter comparative of 'more', but its attestation is rather limited: Sinaiticus, Vaticanus, and Bezae. Bezae has in Luke frequently πλεον where others have πλειον, and also has the form πλειω in Mt 20:10, and Lk 21:3 (here with considerable additional support). I am not sure at all what to make of Sinaiticus, and Vaticanus in Mt 26:53. Though these two majuscules at times preserve a good, old orthography, here they are possibly a bit idiosyncratic and over-literary (as happens on occasion). Unless someone can convince me otherwise, I am hesitant to admit πλειω here. There are obviously many great things about NA28, but there are also some ongoing niggles. One thing I’ve come across recently is the situation with some of the “diamond” readings in the Catholic Epistles. These “diamond” readings are those where the editors could not decide between readings, and in the ECM2 the primary text line has both readings (although in some cases other readings are involved, the indecision in each case relates to two readings). For these readings the editors are saying, as I understand it, our use of the normal methods and our use of the CBGM have not been able to resolve the question as to which reading represents the initial text, so as a consequence the decision is left open. So this is all fair enough within their parameters. The way the initial text is decided, and the way in which the CBGM is the product of these decisions at local stemma level, means that there are only two options: editorial unanimity or editorial impasse. There is no mechanism (as in the previous “Nestle” model) for a majority vote at points of uncertainty. In the ECM approach we are left with editorial impasse. The NA28 approach is to leave the old text in place within the text (NA26&27, but in many cases reaching back to N1), mark it with a diamond (indicating that the editors leave the decision open), and use the same diamond marker in the apparatus to mark the second (equally viable) reading. But here is the thing I can’t understand. On a number of occasions the apparatus does not provide the manuscript evidence for the txt reading. I would have thought in situations of such uncertainty, when you are effectively leaving the reader to make his or her own judgement, you would always provide (in summary) the evidence for both (equally viable) readings. But that doesn’t happen. In this mornings reading I came across four examples where there was no indication of the evidence in favour of the txt reading: 1 John 2.4 (whether or not to read OTI), 2.6 (whether or not to read OUTWS), 2.17 (whether or not to read AUTOU), 2.29 (whether to read EIDHTE or IDHTE). 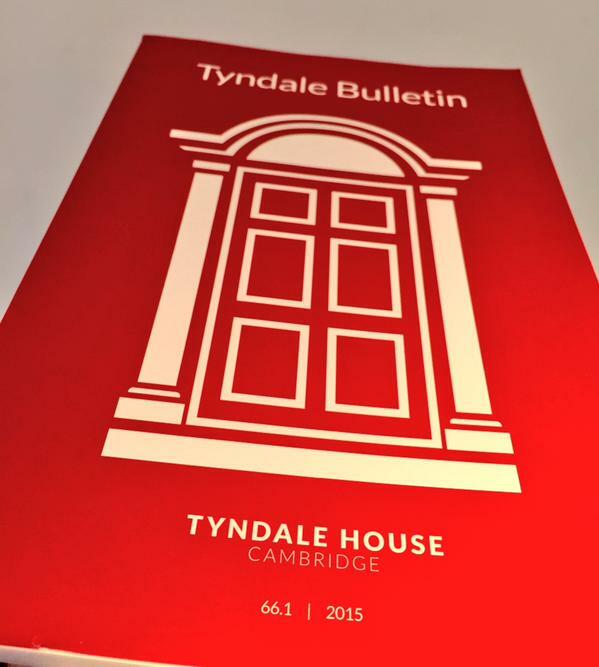 You can get a bit more info from NA27 (but only on 1 John 2.6). There may be an explanation for this, but I have struggled to think of a good one. I would suggest that in the next revision for all diamond readings evidence from both options is provided in the apparatus. Center for the Study of New Testament Manuscripts (CSNTM) offers a number of interviews in a series called "Pioneers of the Trade: Famous Text-Critical Scholars" which is freely available on iTunes-U. 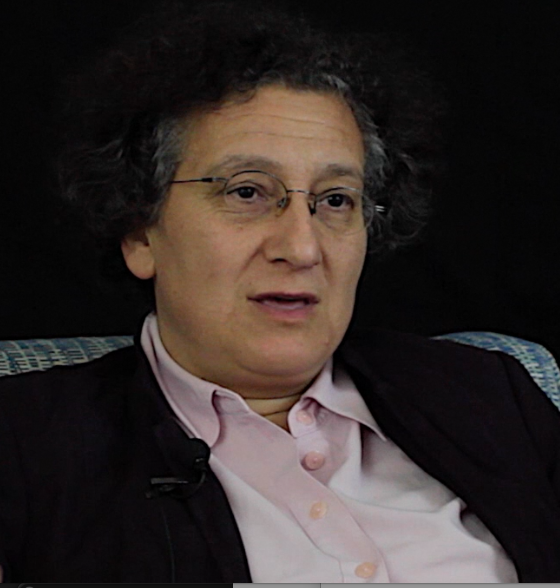 A few days ago, a new interview appeared with Dr. Ekaterini Tsalampouni, lecturer in NT at the Aristotle University in Thessaloniki, in which she describes her research on New Testament inscriptions, the Byzantine text, and how the digitization of New Testament manuscripts is revolutionizing the field of New Testament textual criticism. I was interviewed at the recent SBL in San Diego for this series, so that might appear too some time in the future. Image setup for the experiment. There is a fascinating new article out today in the journal Digital Scholarship in the Humanities (more on which later) on multispectral imaging (MSI). What makes this article so interesting is that the authors destroyed a manuscript in order to systematically put MSI through its paces. Previous multispectral imaging capture projects, applied to specific examples of texts of historical importance, have concentrated on recording documents in their current state (generally once important features are illegible). Here, we investigate best practice in the multispectral imaging of heritage material by imaging a parchment document before and after a series of degradation processes, allowing us to assess the effectiveness of image processing algorithms to recover information from degraded documents. This gives us a unique platform for evaluating the quality of recovered images, and allows us to assess the performance of image processing algorithms for analysis of these images. The document was an assignment of property which had been deemed to hold no historical or scholarly value, and had been de-accessioned from their collection prior to our request for parchment material in accordance with The National Archives guidance on deaccessioning and disposal. The unlucky specimen here showing the samples. From this manuscript the authors cut 23 specimens, all with text and generally avoiding folds and blemishes. Various “degradations” were then applied to 20 of these, ranging from problems in the manufacture, use, and storage of the parchment. This included anything from scraping the ink off to oil stains, chemical reagents, fire, water, smoke, and, yes, human blood (full list here). The specimens were then photographed under the same conditions both before and after the damage was done. In total, they took 2,800 images! The blood sample before damage (left), after (center), and the best result from MSI (right). Naturally, they found that MSI had different levels of success with generally more success. In some samples in which the writing has been rendered unreadable by the treatment, the writing can be recovered, including aniline dye, oil, and blood. In some samples the writing is completely obscured or the parchment has been severely affected and recovery is all but impossible, including iron gall ink, India ink, and mould. 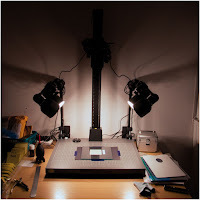 In most cases, however, the image processing algorithms can extract more information from the multispectral images of treated samples corresponding to the writing than the human eye can see. The real value of the study, of course, lies in the ability to measure the relative success and to isolate the specific circumstances in each case. They don’t give all the results in the paper (they do elsewhere) and they are clear that this is not a systematic study of any one type of damage (although they hope to in later studies). This method raises questions about when to destroy the past in order to better understand it, but I’ll leave those issues for you all to discuss. For my part, I would have liked to know a little bit more about how this document was “deemed to hold no historical or scholarly value.” Apparently there exist guidelines for just such a decision. I’ve never been involved in the direct process of applying MSI, but I imagine this study would be very useful to those weighing the cost benefit of using MSI. You can read the whole article online (free). While looking at the new journals shelf last week I noticed a number of text critical articles have come out recently. 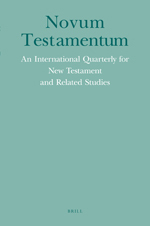 This article investigates the textual history of the explicit quotations of Isaiah in the Acts of the Apostles of Codex Bezae Cantabrigiensis (Acts 7:49–50; 13:34; 13:47) by introducing the concept of “Old Testament awareness.” This concept can be defined as the degree to which a NT tradition, at any stage of its transmission history, is aware of a quotation stemming from the OT. OT awareness can be identified in the layout of Codex Bezae (e.g., the indentation of text in the manuscript to indicate OT quotations), the text of quotations (e.g., readings that can be shown to be a subsequent change towards an OT tradition) and the context of the quoted text (e.g., the quotations’ introductory formulae). Through assessing the OT awareness of Codex Bezae’s explicit quotations of Isaiah, different stages in the transmission history of the text of these quotations in Codex Bezae’s Acts can be identified. Codex Bezae is traditionally famous for its harmonising tendency compared to other early majuscule manuscripts of the Gospels. In this article we suggest that, based on two examples drawn from Matthew, some of its variant readings have striking lexical correspondence with passages from the Old Testament. As a result, it is more likely that they probably transmit an original reading as opposed to being the result of a less capable scribe, who would have corrected an earlier text to make it closer to the parallel passages from the Synoptics. The passages examined are Jesus’ arrest on the Mount of Olives (Mt 26.55) and the women’s encounter at the tomb on Easter day (Mt 28.8). Also in NovT, Simon Crisp and J. K. Elliott review vols. 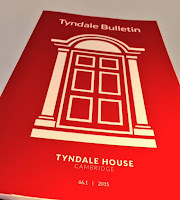 1–2 of the New Cambridge History of the Bible and Hugh Houghton reviews Die Vetus Latina-Fragmente aus dem Kloster St. Gallen. This study examines every reference to πνεῦμα in NT Papyrus 46 (P. Chester Beatty ii / P. Mich. Inv. 6238) and whether or not it is contracted as a nomen sacrum. Against expectations, the scribe does not always use nomina sacra to designate the divine Spirit, nor are other kinds of spirits always written out in full. This discovery destabilises the assumption that we can access the scribe’s understanding of πνεῦμα simply by identifying where nomina sacra do and do not occur. At the same time, such scribal irregularity itself may illustrate wider theological ambiguities among some early Christian communities concerning the status and role of the Holy Spirit. 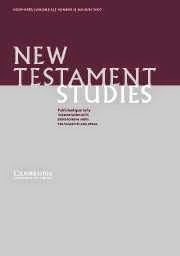 The role of manuscript corrections in studying textual transmission of the New Testament has been long recognised by textual critics. And yet, the actual witness of corrections may at times be difficult to interpret. A case in point is Josef Schmid’s seminal work on the text of Revelation. Following Wilhelm Bousset, Schmid argued that a particular group of corrections in Codex Sinaiticus reflected a Vorlage with a text akin to that of the Andreas text-type. By dating these corrections – unlike Bousset – to the scriptorium, Schmid utilised their witness to trace the text of Andreas back to the fourth century. Recently, Juan Hernández has shown that the corrections cited by Schmid were significantly later, hence calling his fourth-century dating of Andreas (among other things) into question. Through an analysis of the corrections cited by Schmid, supplemented by a fuller data-set of Sinaiticus’ corrections in Revelation, this study seeks to reappraise Schmid’s claims concerning the textual relations of these corrections, and identify their role in the later transmission of the text of Revelation.